The average figure masks the substantial variance in forward muliples. By breaking out the multiples on a stock by stock basis, we expose the true distribution. Veeva (VEEV) tops the list at 11.6x forward while MobileIron plays cleanup at 1.5x. In addition to the broad range of multiples, some of these businesses has seen tremendous volatility. 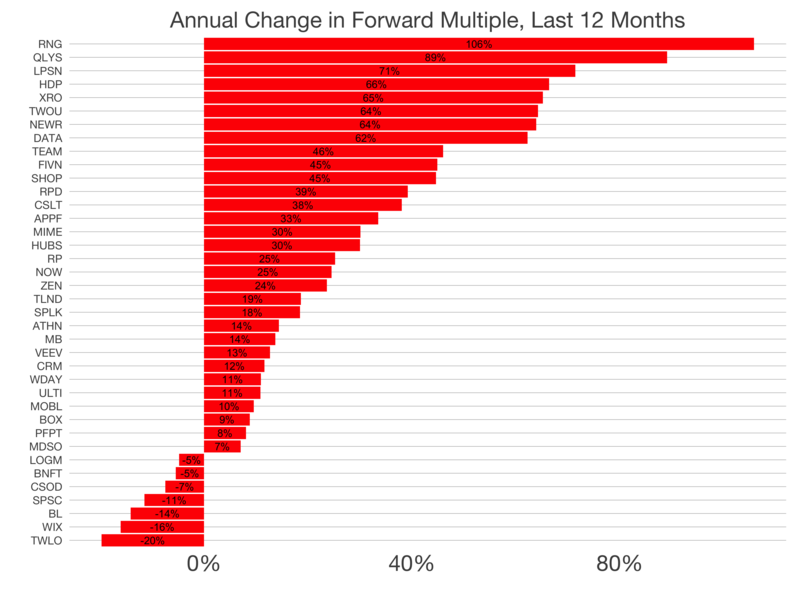 HortonWorks and LivePerson have seen greater than 90% increases in forward multiples, while Zendesk and Twilio observed contractions of 32% and 64%. Last, the box plot demonstrates that the majority of companies fit within a narrow band. But we are starting to see a handful more outliers, whose multiples are two standard deviations above the median. The red box indicates the range of companies between the 25th and 75th percentiles. 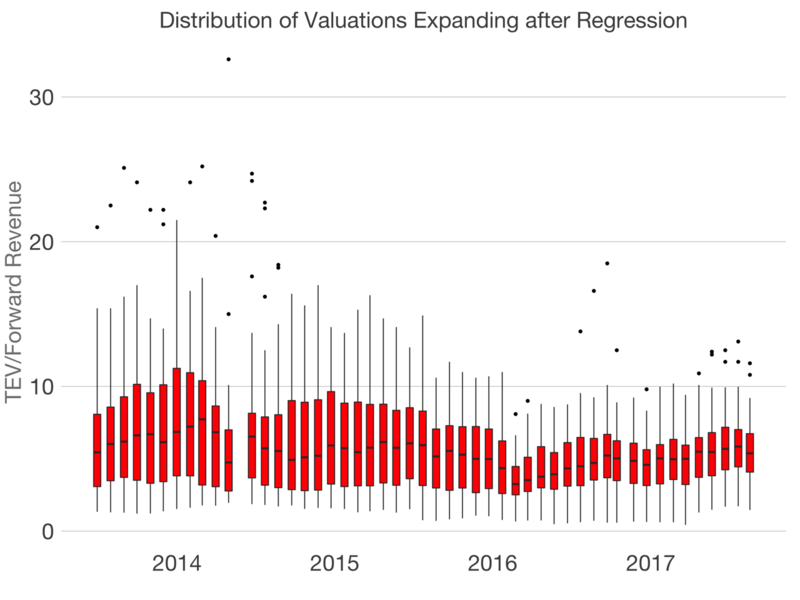 Overall, the data suggests that the median forward multiple of 5.5X is a good summary metric for long-term analysis of next generation software companies. 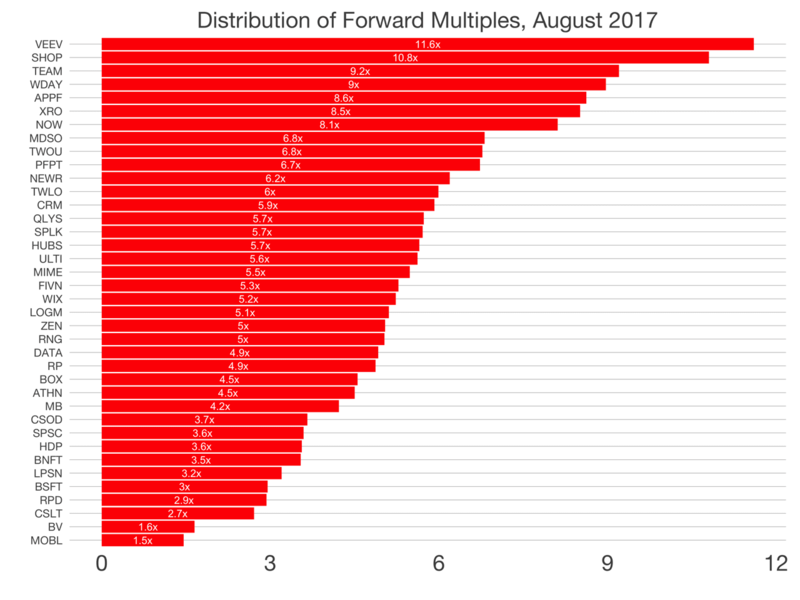 But the distribution and the variances year-over-year indicate that there’s quite a bit of movement in forward multiples, depending on the particulars of each business. This public market data mirrors to some extent of the behavior of the private market. 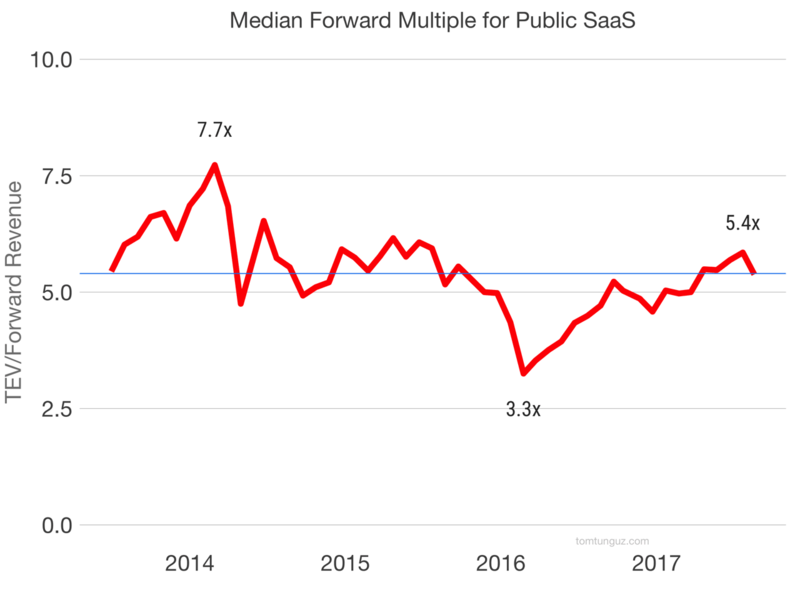 Namely, while the forward multiple for most private SaaS companies has fallen in the last year or so, the most sought after businesses are commanding some of the highest multiples we’ve seen in 24 months.